Hoboken's new mayor launched a wild attack last week on most of the City Council alleging support for voter fraud but pointedly neglected to criticize the only council member who claimed Hoboken voter fraud non-existent. After Councilman Mike DeFusco read into the record Wednesday night a text published exclusively on MSV where the mayor's brother Amar Bhalla encouraged a behind the scenes-like "grind them into powder" exhortation, many council members responded with in-depth almost universal condemnation of voter fraud activities in Hoboken. The text exchange saw benefit in politically exploiting the situation with an anticipated failed mayor's veto against a council backed voter referendum. The City Council voted overwhelmingly a third time to allow Hoboken voters to decide whether to bring back runoff elections in a ballot question this November. In a a statement by Mayor Ravi Bhalla issued out of the mayor's office, an allegation stated council members Peter Cunningham, Tiffanie Fisher and Jen Giattino "have chosen to align themselves with" council members Mike DeFusco and Ruben Ramos "and other beneficiaries of voter fraud." The mayor's unsubstantiated allegation further added, "Their conduct speaks for itself." At last Wednesday's council meeting, Third Ward Councilman Michael Russo denied the existence of voter fraud in Hoboken and bragged there had been no arrests. 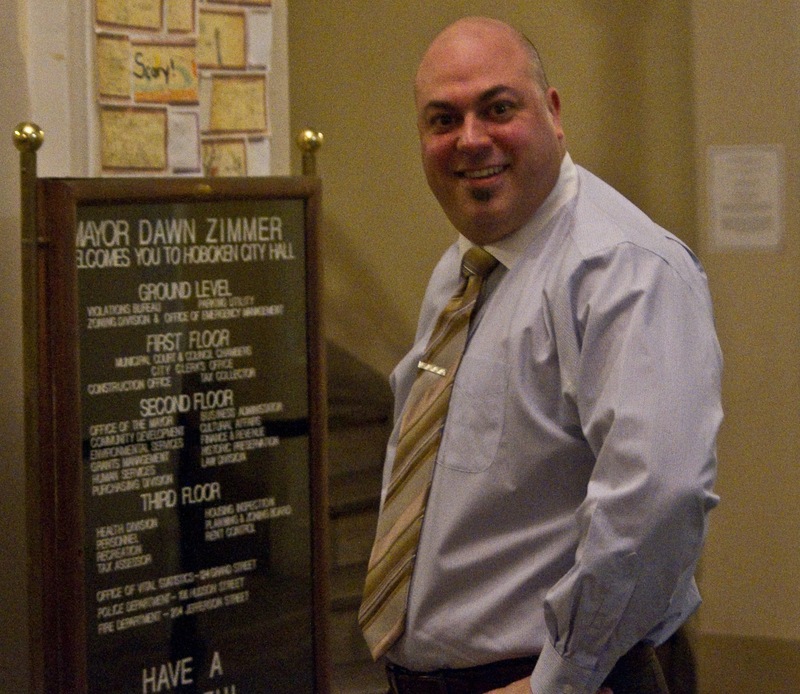 He was the only council member to do so as Jen Giattino, Peter Cunningham, Tiffanie Fisher and Ruben Ramos all sharply differed with Russo's contention and highlighted their personal perspectives on voter fraud problems in Hoboken. Council members were quoted in the weekend paper blasting Mayor Bhalla's statement voicing concern about the direction of the new administration after only three council meetings. Councilman Mike DeFusco called the Bhalla statement a "false, disgusting smear... intent on wasting taxpayer resources on completely unsubstantiated, divisive attacks." He concluded complaining the statement "spread lies and deceit without any credible evidence" and that it "borders on libel." Council President Ruben Ramos who supported DeFusco in last year's mayoral election said Mayor Bhalla "has no problem utilizing gutter politics and is once again making false accusations without any evidence to sully anyone who dare challenge him." Councilwoman Tiffanie Fisher who was co-campaign chair in Councilwoman Jen Giattino's bid for mayor last year and is the Chair of the local Hoboken Democratic Committee said, "The texts are troubling and the mayor's statement is.... reckless," further expressing disappointment as the council had been working well with the administration to this point. Councilman Peter Cunningham, who also served as co-chair to the Jen Giattino mayoral campaign said, "Given the divisive nature of the elections, I have been very sensitive to my 5th Ward constituents and their concerns about having a collaborative relationship with Mayor Bhalla. We can agree to disagree on this runoff election matter but for the mayor to say one thing and do another is disappointing. His tone does not reflect the collaborative relationship that I have and will continue to work toward." Councilwoman Jen Giattino said, "I find it really disheartening that the mayor met with the three of us and talked about collaborating and working together, which is exactly what I think good government should do and then came out with a statement so divisive. I was definitely surprised. You talk about working with people and then don't actually talk to them about this. You just put out a statement like that." Probed on his voter fraud allegations as it pertains to a majority of the City Council, the mayor's office backpedalled stating, "This has benefited some candidates more than others and is a problem a December runoff will make worse." Further reversing course the mayor's office concluded saying Mayor Bhalla "is not making any specific accusation of voter fraud." The mayor's office however did point to the practice of paid election day workers in Hoboken elections. In 2015, campaign reports point to approximately $20,000 spent, much of it for campaign workers connected to the third ward council campaign of Michael Russo. In his re-election bid that year, Michael Russo faced no opponent. Mayor Bhalla did not make mention of Councilman Russo in his statement last week. In 2013, MSV exclusively reported the US Department of Justice was in Hoboken on Election Day. In 2017, the FBI was active in the weeks leading up to the election. In 2010, MSV's exclusive coverage on Vote by Mail fraud allegations leading into and after the fourth ward special election was picked up in statewide media leading to an investigation finding its way to the NJ Attorney General's Office. Some locations where Vote by Mail have typically been harvested, in the Hoboken Housing Authority and senior buildings were reportedly "fearful" with the FBI presence last year. Others pointed to a flood of cash late making its way to the streets in a bid to influence the outcome. One uncorroborated claim said $5,000 was paid to turn out the vote on behalf of one candidate in the Hoboken Housing Authority on Election Day last November. Third ward councilman Michael Russo was the only Hoboken voter fraud denier at last week's City Council meeting. 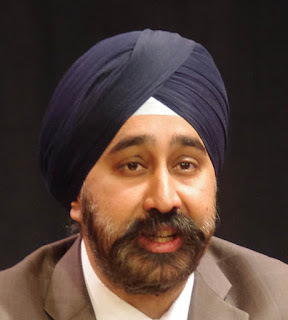 He was miraculously spared criticism by new mayor Ravi Bhalla who pointed to other council members as "beneficiaries of voter fraud," while ignoring campaign oddities on Russo's 2015 council race. A Bhalla-Russo deal where Michael Russo will back Bhalla in close council votes and then see no endorsed competing candidate in next year's third ward council race is the reason insiders say. Some deem the Bhalla-Russo deal neo-transactionalist. Talking Ed Note: In early 2014, this editor testified for a day and a half on the topic of voter fraud in the contested action over a ballot question on rent control. Ravi Bhalla also testified at the same trial. All the antics of the mayor's failed veto are driven by political concerns he's not likely to see a favorable outcome in any one-on-one scenario re-election bid. Last November Ravi Bhalla won the mayoral election with 32% of the vote where a controversial terror flyer "against" him paved the way to victory. MSV first reported the Bhalla-Russo alliance before Thanksgiving last November but their attempts to see the third ward councilman elevated to City Council president failed as council members balked.